Welll ofc i have over 15 minges. most people do. you have to get respawned some how. Dear Staff, I had not been informed about the 40 warn ban/minge untill i was at around 35 warns; But that is no excuse. I got the warns I deserve the punishment. Although, Ive been dealing with many issues such as ADHD, ODD, Impulse, ED, and Hell I have a short temper. Ive also been dealing with depression after my grandma passed. I may be inmature. But I am working on my Issues. I've had a great time and I've been welcomed by such a great community. I've bought VIP+, Ive worked my ranks up in PD and FBI. At first I didnt get the concept of warns. I thought you could get them and you could go back and do something else. on Christmas I got 2 $50 steam cards. I spent them on games that people would love, Including me. But The only one I play is GMOD and I only play on GamingLight. My favorite thing to discuss is this server at school. This was one of the few things I was passionate about. I am trying to change. I guess not hard enough. 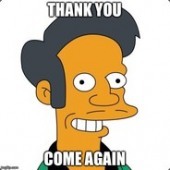 You were all always good to me, Apu. Your In-game: Lil Pimp Your SteamID: STEAM_0:1:195208304 The admin's name in-game: SS ASAIC Logan XR1 The admin's steam name (If you know it): I dont know What warning did you receive: False Demotion Evidence of the warn (REQUIRED): Ask Logan He told me to appeal it. Why do you think this warn was false: Logan told me to appeal it. Any extra information: No. Your In-game: Lil Pimp Your SteamID: STEAM_0:1:195208304 The admin's name in-game: Steve The Russian UMC The admin's steam name (If you know it): I dont know What warning did you receive: Not Complying Whilst In Cuffs | FailRP | LTAP | Evidence of the warn (REQUIRED): Ask Steve He told me to appeal it. Why do you think this warn was false: Steve told me to appeal it Any extra information: Nope. Steam Name: Apu Ingame Name: President Lil Pimp SteamID: STEAM_0:1:195208304 Ban Length: 1 day (11 hours remaining) Admin that Banned you: Gamikzone Reason for Ban: Mass staff dis, NCWS, Minge Dispute: It wasnt mass because I only dissed crabs once.